There’s just something about the ooey-gooiness of a grilled cheese sandwich that makes incredibly irresistible. But we may have just made it even more tempting. 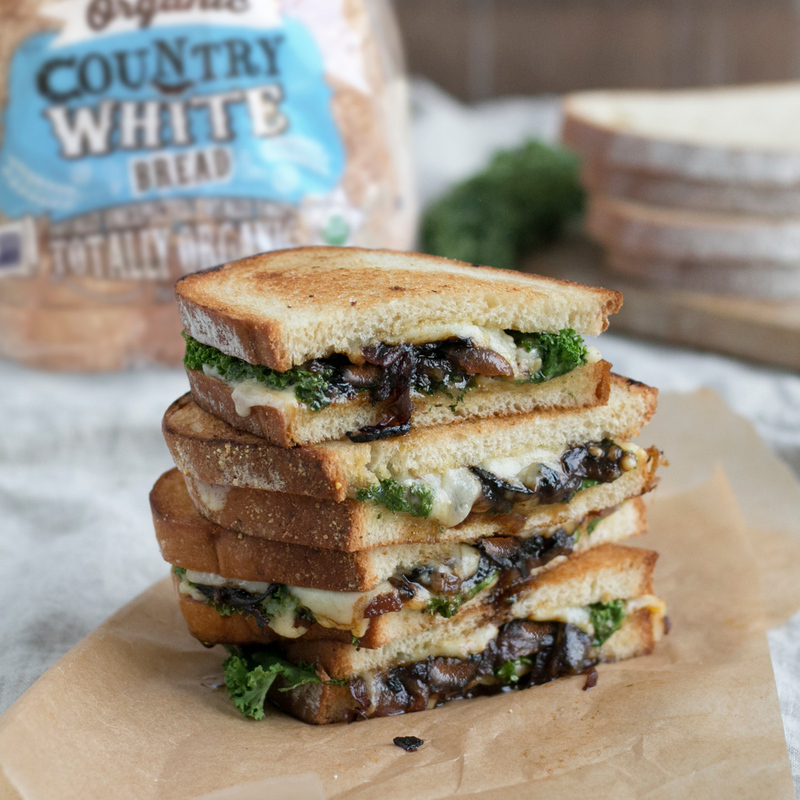 Think grilled cheese, but then start adding ingredients like grilled onion, Irish cheddar (like regular Cheddar, only with an adorable accent), Havarti cheese butter, balsamic vinegar and the secret ingredient, kale. And voila, you’ve raised the art of the grilled cheese to Van Gogh levels. Now, try having just one. Darn near impossible. Heat oil in a small saucepan over medium heat. Add onion and salt, stirring to coat, and cook until onions are soft (approximately 10 minutes). Add sugar and cook for another 5 minutes, then add the balsamic vinegar and cook until onions become dark in color (approximately 10 minutes). Butter one side of each bread slice. Place two slices in a large skillet, butter side down. Layer with Irish Cheddar, kale, caramelized onions and Havarti cheese. Top with remaining bread slices, butter side up. Cook sandwiches over medium-low heat, flipping from time to time, until bread is toasted on both sides and cheese is melted.